INDUSTRY.co.id - Jakarta - PT Perusahaan Gas Negara Tbk (PGN) encourages millennial generation to master the development of technology, especially renewable energy. One form of support is to organize the event "PGN Leadership Camp 2018" through a national seminar entitled "The Role of Youth Millennial as Unity and Unity Adhesives through Independence Efforts in Energy, Entrepreneurship and Nationality Insight". In the seminar, President Director of PT Permata Graha Nusantara, which is a subsidiary of PGN engaged in services and services, Baskara Agung Wibawa became a speaker, together with vice Rector of Diponegoro University for Communication and Business, Budi Setiyono and Chairman of KSE Supervisory Board Satriadi Indarmawan. In front of 224 young people who participated in the seminar, Baskara said one of the main tasks of Indonesia's millennium generation is to create energy independence in the long term. According to him, the task is much more complex than that of their predecessors. The reason, the youth are required to be able to master the technology to produce new and renewable energy contained in the country. Energy that will not run out because produced naturally such as geothermal, wind energy, and water energy that will replace the role of energy-based oil that has been imported to meet domestic needs. "In the next 10-12 years, Indonesia's petroleum is expected to be exhausted so that Indonesia will rely heavily on imported fuel." In order for Indonesia to be good fortune energy, the task of the generation of 'times now' is to study the technology of renewable energy development in Indonesia, who master the science is much needed, "said Baskara. PGN seeks to realize the vision of government energy independence by expanding the utilization of natural gas as an environmentally friendly energy to the community. "To the prospective customers of households and industries, we are always campaigning that this gas has exhaust emissions and prices are much lower than fossil energy or fuel, so more and more are interested to utilize natural gas," he said. According to him, the main challenge for PGN in increasing the number of customers is land acquisition to build gas transmission and distribution pipeline. He believes the difficulties can be overcome by the integration of PT Pertamina Gas (Pertagas) to PGN. 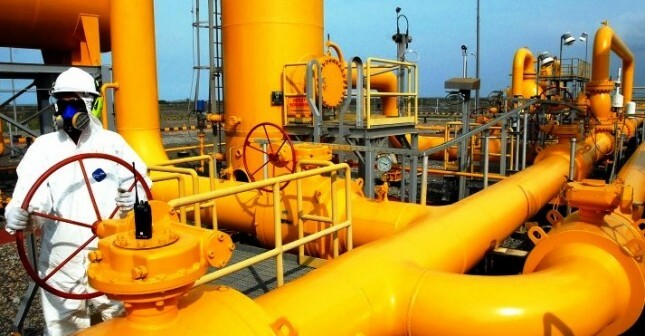 Therefore, the pipeline infrastructure that has been built separately by two largest downstream gas companies in Indonesia, can now be put together to become more widespread. Until the end of the first quarter of 2018, the length of PGN's gas pipeline reaches more than 7,453 km, equivalent to 80 percent of national gas pipelines. From the infrastructure, PGN distributes natural gas to 196,221 industrial and household customers. The length of the pipeline managed by Pertagas is 2,438 km. With the integration of both companies, it will control the infrastructure of natural gas pipelines in Indonesia by 96 percent.